Browse: Home > Blog > Solution for disappearing “Pro” features and “Incorrect Activation Key” error. Hi i can't get my activation Key in http://www.nextscripts.com/mypage it appears a blank page. It was also affected by the server crush. It should be working now. Upgraded to 1.3, put back the key. Looks like it's working again. 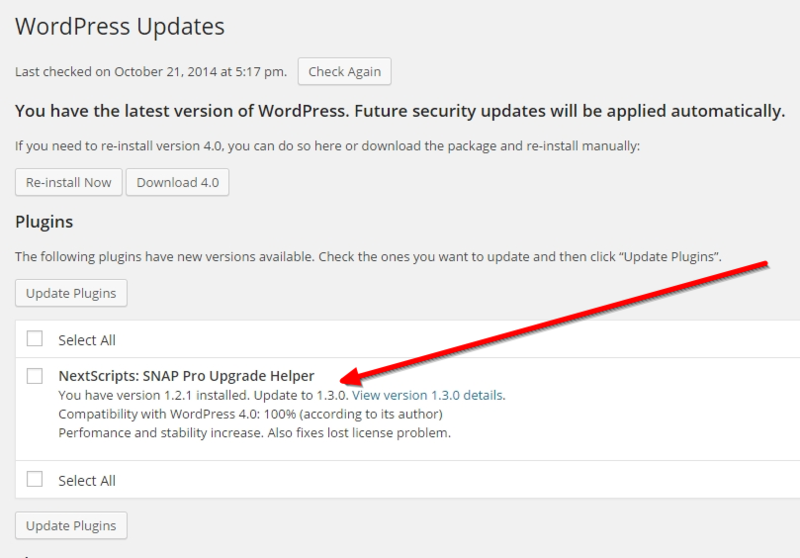 Updating through Wordpress ended with 1.3.0. Activation didn't work, but after downloading the Plugin from "http://www.nextscripts.com/mypage" again it's 1.3.1 now and activaed. I've been trying to get things set up with the free version for FB and Twitter, but FB is having issues. I keep getting "Attention requred. Unfinished setup" and the FB URL that I put in shows as only "https://www.facebook.com/profile.php" after trying to authorize the account. Being brand new to this, I don't know if it's ME doing something dumb, or if it's part of the problem you described above. Thanks for any help, whether here or via the support ticket I submitted earlier. 1. Please contact support directly about activation issue. 2. You can't use profile.php URL. You need to use the regular Facebook URL If you still don't have one, please create it in the Facebook settings. Thank you for the info. As expected, it was "user error" on the Facebook url (duh!) - it's working fine now. As for the activation issue, it's also working now, though I did nothing different. I guess something hadn't propagated (???) or who knows what, but I went through the exact same process and pasted the exact same code as I did before my last message, but this morning it works.